A cold is associated with the brisk weather of winter – that’s how the illness gets its name. Why, then, did the virus hit students, faculty and staff when temperatures were in the 80s as the fall semester began? Cold viruses loom all year round, whether hot or cold outside. 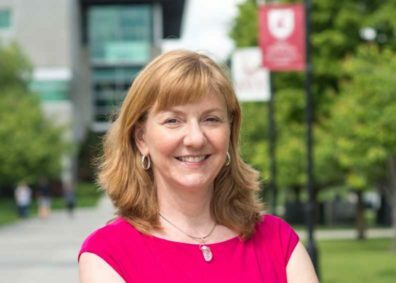 When thousands of students from different cities, states and countries converge for the start of any semester, chances are that some will bring cold viruses with them, said associate dean of clinical education Dawn DeWitt of WSU’s Elson S. Floyd College of Medicine. “Under the right circumstances, the common cold can be a common problem no matter what time of year,” said Dr. DeWitt, an internal medicine specialist in Spokane. When large numbers of students flock to schools — whether grade schools, high schools or universities – “you’ve got lots of people indoors for long periods who are in close contact, increasing the chance the virus will be transmitted,” she said. When an infected person sneezes or coughs, the cold virus can linger in the air where an unwitting human can inhale it. But most people pick it up by touching contaminated surfaces such as door handles, handrails and tabletops and then touching their nose or mouth. When the virus attaches to the lining of the nose or throat, a cold is born. Though generally harmless, it may not feel that way. Sometimes colds lead to a bacterial infection in the sinus, lungs or ears. When that happens, doctors prescribe antibiotics, which fight bacteria-triggered illnesses but not infections caused by viruses, said Dr. DeWitt. In 2009, researchers decoded the genomes of 99 strains of the most common cold virus known as the rhinovirus. The breakthrough revealed how varied the strains are, said DeWitt, and how these unique traits make them slippery targets to cures and treatments. Though modern medicine hasn’t produced a cure for an infection that hits most people at least once a year, following a simple battle plan will help keep the virus at bay, she said. “Regular hand washing remains the best strategy for preventing colds,” she advised.